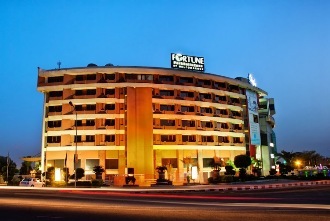 Located near the hub of the city at Ashram Marg, this luxury hotel is few blocks away from the airport and the railway station. Designed with vibrant colors, there are 109 spacious, contemporary and well- appointed rooms to choose from. Guests can enjoy an Indian taste at Nakshatra Restaurant and for a casual get-together there is Zodiac - a 24 hours coffee shop. In the evenings, guests can lounge at Fortune 500 Bar. There is also an outdoor swimming pool and a jacuzzi for the recreation of the guests.